K 2 Premium Home 16733010 https://www.kaercher.com/ae/home-garden/pressure-washers/k-2-premium-home-16733010.html "K2 Premium Home" high-pressure cleaner: For removal of normal dirt, e.g. on bicycles, garden tools or garden furniture. With cleaning agent tank, T 150surface cleaner and 500 ml "Patio & Deck". 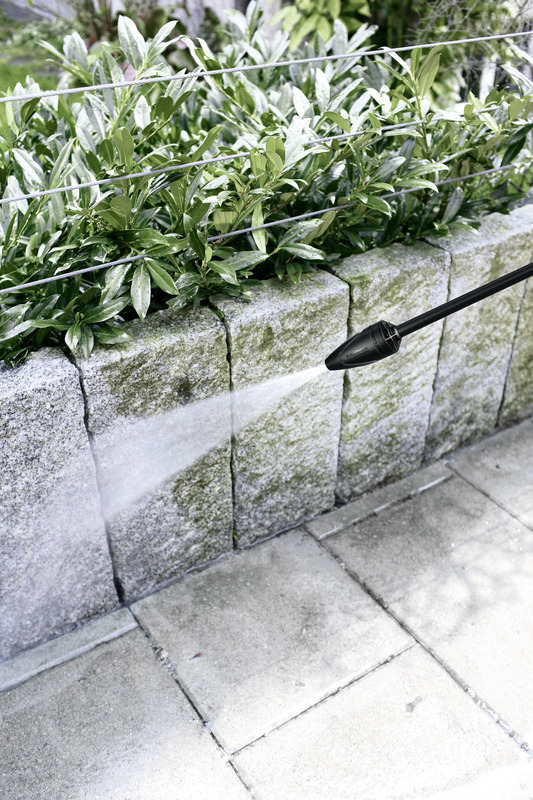 "K2 Premium Home" high-pressure cleaner: For removal of normal dirt, e.g. on bicycles, garden tools or garden furniture. With cleaning agent tank, T 150surface cleaner and 500 ml "Patio & Deck". The "K2 Premium Home" features a cleaning agent tank for added convenience. 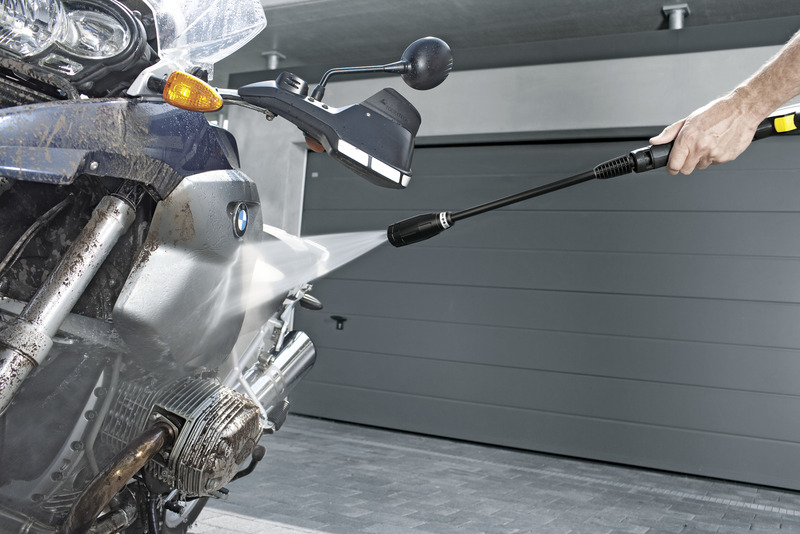 This high-pressure cleaner is ideal for occasional use and removal of normal dirt, e.g. on bicycles, garden tools or garden furniture. 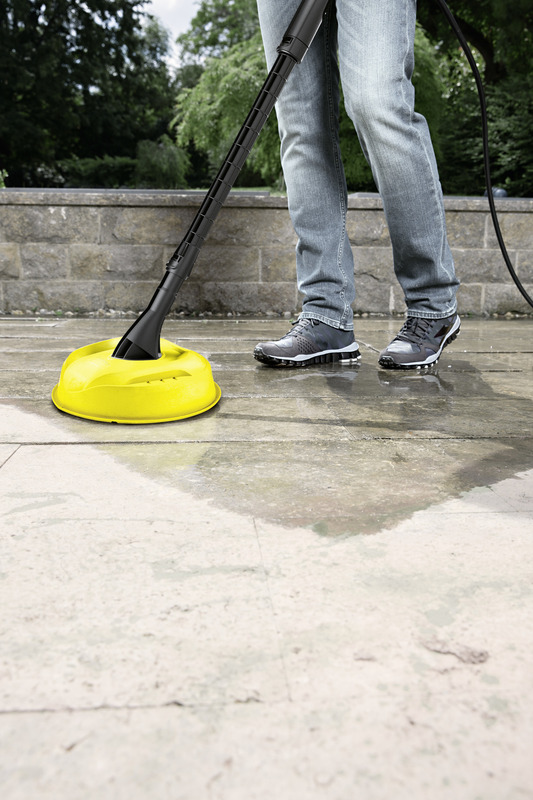 Together with the Home Kit with T 150surface cleaner and 500 ml "Patio & Deck" cleaning agent concentrate, large areas can be cleaned quickly and splash-free. 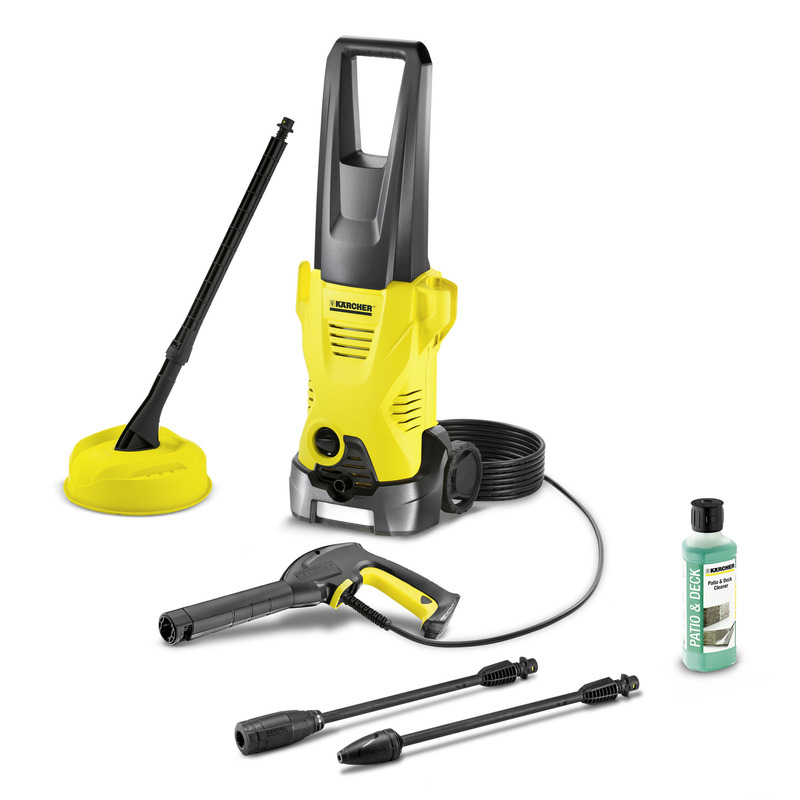 Further features include a trigger gun, 6 m high-pressure hose, Vario Power spray lance (VPS) with convenient pressure adjustment by simply twisting the lance, dirt blaster with rotating pencil jet for removing stubborn dirt and a water filter which protects the pump against the ingress of dirt particles.